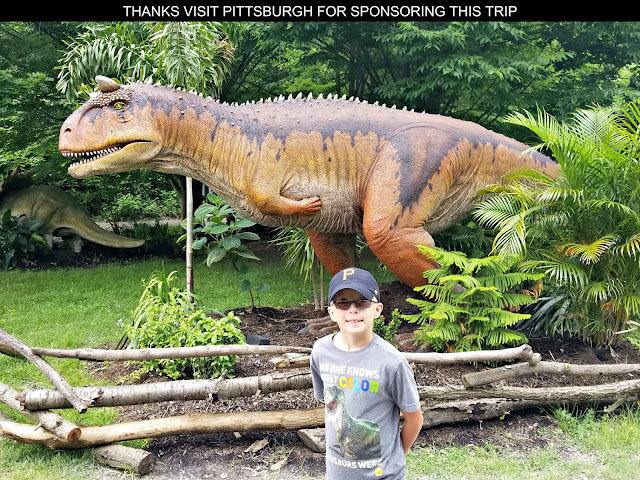 For those of you with preschooler at home, ageekdaddy.com has a great holiday giveaway for you. 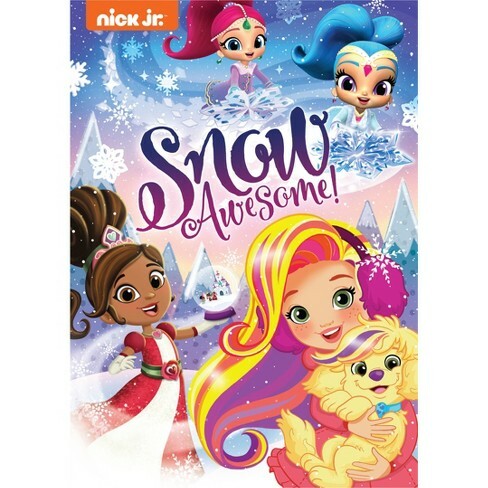 Our friends over at Nickelodeon Home Entertainment have provided a DVD titled SNOW AWESOME filled with Christmas episodes of some of their most popular Nick Jr. animated shows to giveaway to one lucky winner. Looking for some holiday themed programming that preschool aged children are sure to enjoy during the winter festivities? Here you go! Shimmer and Shine -- Each day these twin genies can grant wishes which often end up in error that need to be fixed. Snow Place We'd Rather Be: When Princess Samira sends Leah and the genies to find a snowflake gem, Zeta interferes making the girls' search much more difficult. Snow Time to Spare: The girls help Layla, the Ice Genie, create fun snow decorations for the upcoming Frosty Fun Festival. 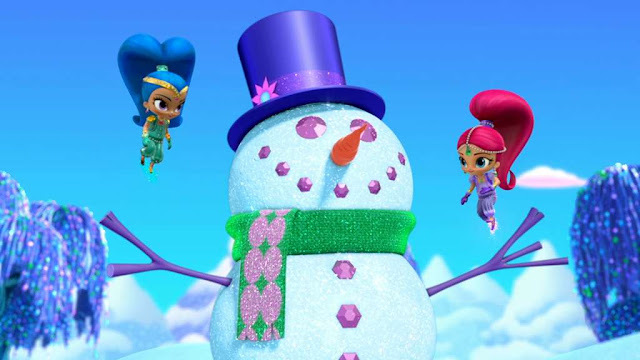 Frosty Fun: When two trouble-making Ice Sprites slip into Ice Genie Layla's Palace, the girls must catch them before they wreak havoc on the castle. 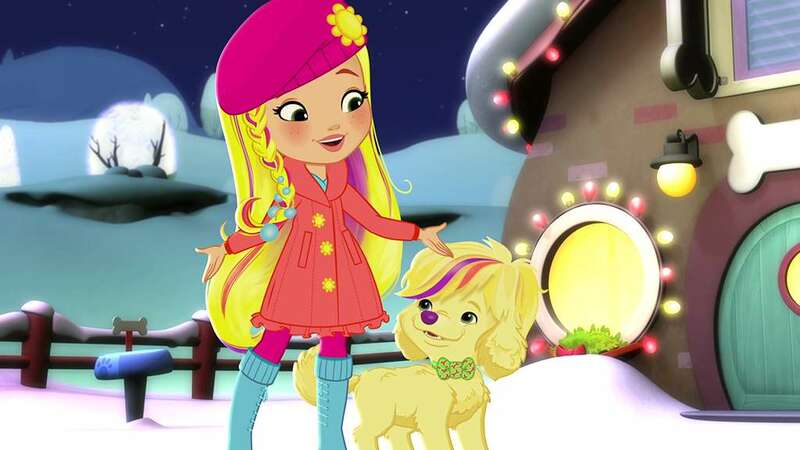 Sunny Day -- is a master hairstylist and wonderful entrepreneur who utilizes charm and creativity to overcome dilemmas that arise in the seaside town of Friendly Falls. Best Christmas Ever: When a snowstorm traps Doodle at his cousin's house on Christmas Eve, Sunny and the gang devise an intrepid plan to trek through the snow and reach Doodle in time to spend the holiday together. Nella The Princess Knight -- Nella is an eight-year-old princess who is next in line to rule to kingdom of Castlehaven. She has all of the qualities of a traditional princess but also those of a knight who loves adventure. 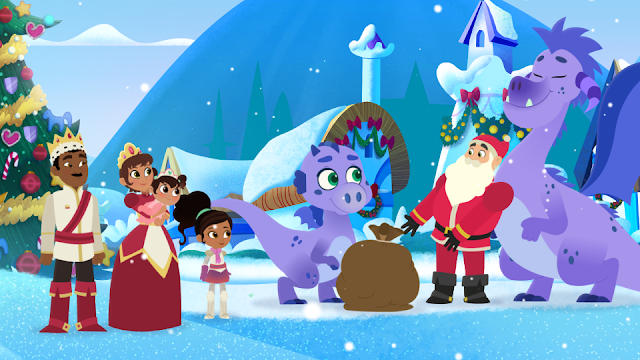 The Knight Before Christmas: Santa visits Castlehaven on Christmas Eve, but when naughty snow dragons take his sack of presents, it's up to Nella and her friends to save the holidays. Let it Snow: Nella searches for a magical crystal to make it snow for the kingdom's annual Snow Festival. For a chance to win a Nick Jr: Snow Awesome DVD simply complete the entries in the form below before 11:59 pm ET on November 18, 2018. Must be a United States resident over 18 years old to be eligible to win. 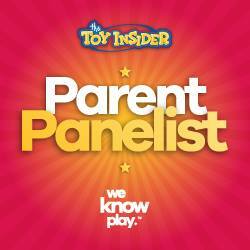 One entry will be randomly selected to receive the prize which will be fulfilled by Nickelodeon Home Entertainment. Good luck!